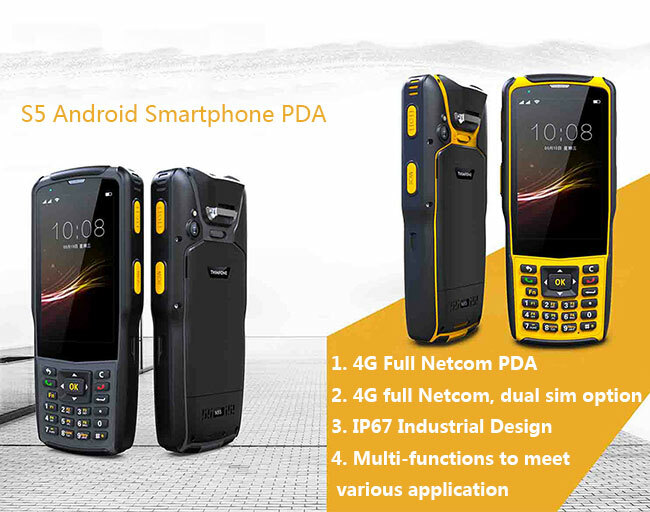 IP67 Industrial Design with Multi-functions to meet various application for Logistics, Warehouse management, chain stores, food traceability, medical etc. 1D Barcode Mainstream 1D code, such as Codabar, code 39, code 128, Interleaved 2 of 5, UPC, EAN, MSI etc. 2D Barcode (optional) Mainsteam 2D code, such as qr, PDF417, DataMatrix, Maxicode etc. It supports NFC also. With 8-megapixel camera and LED light source, it can take high definition pictures anytime and anywhere. 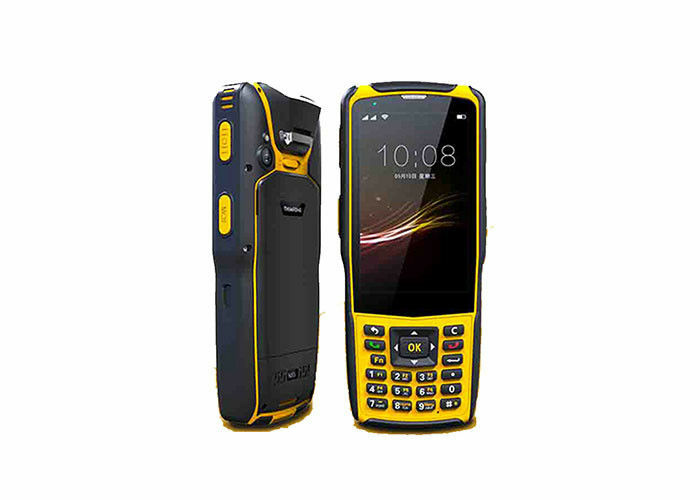 No matter the environment, S5 offers you a reliable solution. With IP67 sealing, it is highly protected from dust and moisture. The device can withstand1.5m drop to ground (twice for every surface). The device can work normally after it is dropped into water! It is 4.0” touchscreen. S5 supports both dry and moist hands, as well as gloved fingertip touch input. Ideal for use in severe conditions, such as rain, snow, and dust.